Welcome to Country Ceramics and Bathrooms. We are specialists in bathroom design and bathroom fitting services. Based in Lutterworth, our services cover all areas throughout Rugby and Market Harborough. 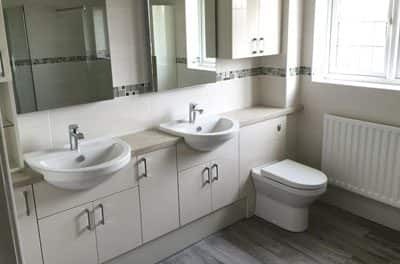 When you are looking for bathroom installers in Rugby or the surrounding areas, look no further than Country Ceramics and Bathrooms. As a family-run business, we pride ourselves on the quality, personalised service that we can provide to every one of our customers. We offer our customers a wide selection of high-quality bathroom products and accessories. 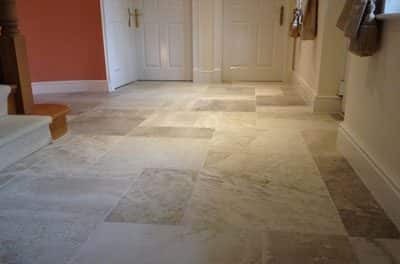 On display are a range of porcelain, mosaic and natural stone wall and floor tiles suitable for both bathrooms and kitchens. 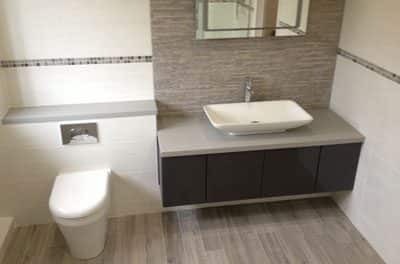 Visit our luxurious showroom with its 13 bays of designer and bespoke bathrooms to suit all budgets, or call Heidi today to see for yourself how Country Ceramics & Bathrooms offer the best service for bathrooms throughout the local area. Looking For New Ceramic Tiles? 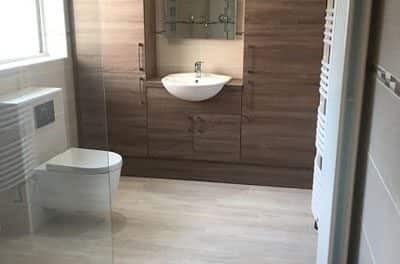 To complement the bathrooms we can supply in Market Harborough, we also offer a bespoke bathroom design service where we can present the customer with a detailed layout of their bathroom. This will enable you to get creative and have your ideas incorporated into the design to create your perfect bathroom space. Our workman, Paul can take care of every aspect of updating or creating your bathroom – We pride ourselves on being wetroom specialists, where nearly any space can be turned into a luxury showering area. Assisted and easy access bathrooms are another option we offer. We are dedicated to providing the best service in bathroom installation to the Rugby and Lutterworth area. If needed, Heidi can provide a full design of your bathroom to meet your requirements and then Paul will come out to install it for you. View our gallery of previous bathroom installations by clicking here. Country Ceramics & Bathrooms are driven by the need for high-quality bathrooms and products to ensure our customers get the very best customer service. Our showroom offers a spacious free car park and is open Monday to Friday from 8:30am till 4:30pm and Saturday 10:00am till 1:30pm. We are closed on Sundays and Bank Holidays. Whether you are based in Rugby, Market Harborough, Lutterworth or across Leicestershire or Warwickshire why not call Heidi today on 01455 556155 to discuss your requirements. Alternatively, pay a visit to our showroom to gain some inspiration for your new bathroom. How many days will it take to refit our bathroom? We aim to complete our bathroom refits in approximately 5-8 days, but it really depends on what your project involves. From full refurbishment to tile fitting and accessory installations we will be able to provide a more accurate completion date after discussing your requirements. Call us today on 01455 556155 for a tailored response. Will I be able to have my heating on during the days of re-fit? Depending on the work that’s being completed, we may need to turn off your water and heating. However, we always ensure that your heating and water are available at night so that you can continue with your normal routine. Will I be able to use my new bathroom straight away on completion? After the project is completed and we have disposed of all debris we will need to apply a sealant to prevent moisture penetration. The sealant will take 24h hours to dry and for this reason, you won’t be able to use your brand new bathroom straight away. Do you require all the money up front for the bathroom? No, your project will be split into three instalments. 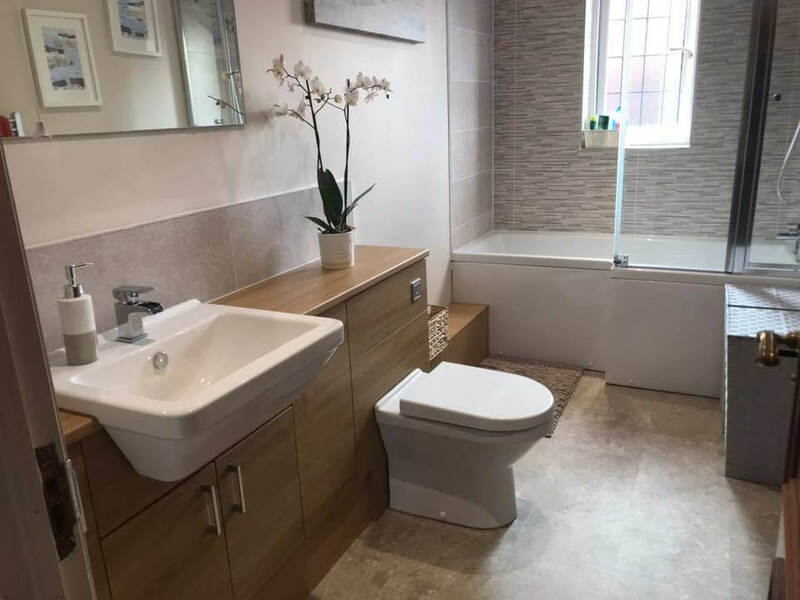 We require a £250 booking deposit, the balance of the bathroom items one week before the refit and the fitting cost will be charged after the project is completed. What guarantees do I get with the bathroom? We provide a one year guarantee on our workmanship, giving you peace of mind that should anything shift after fitting it will be covered. You can also benefit from the manufacturers guarantee on all parts we use. Do you have your own electrician? Yes, we coordinate all the work needed with him so you won’t need to source multiple tradesmen. We take your bathroom’s installation from concept to completion. We believe this is the best way to ensure we always deliver the highest installation standards to our customers. Yes, we are fully insured. Fitting a bathroom can encounter multiple risks, which is why it is essential for us to have public liability insurance. Do I need to be home while work is being carried out? There is no need for you to be home while we work. Most of our costumers prefer to go on with their daily routine while we perform the refit. There is also no need for you to waste precious holiday time, all we need is a contact number. Do you do in person quotes? Yes, we can visit your property on either a Monday or a Tuesday evening after 4:30 pm so we know exactly what your vision is. We also offer bespoke bathroom designs tailored to your specifications. Are we under any obligation if you come to the house for a quote? No, definitely not. It is recommended that two or three quotes are obtained.